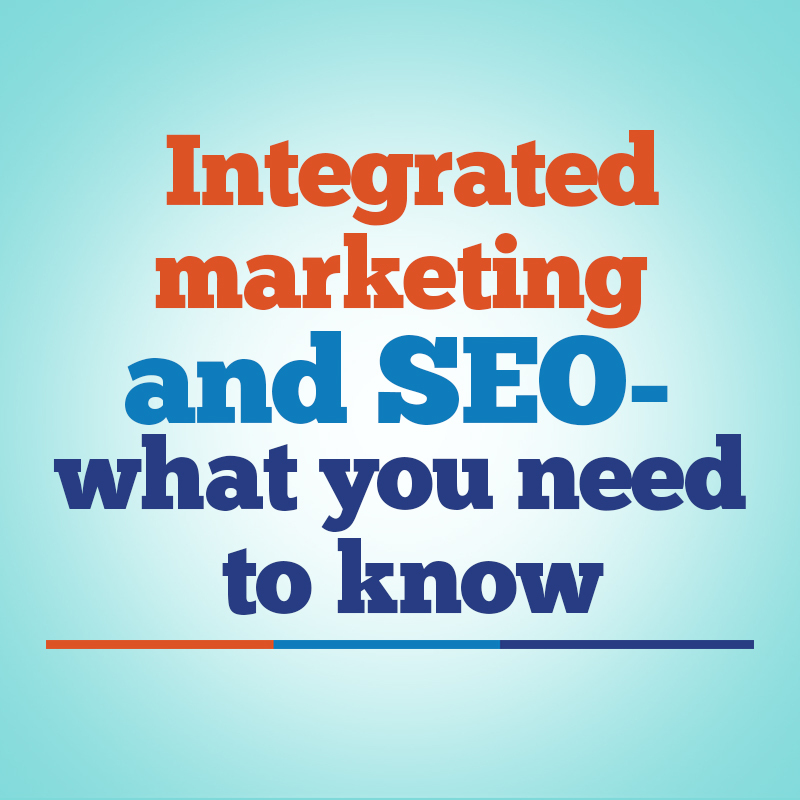 Making SEO an integral part of your company’s marketing efforts has many benefits. If you are a large company, you will save yourself a ton of money if you run an integrated marketing campaign versus having different marketing silos that focus on offline and online marketing. Also, if you don’t have an integrated marketing approach, you might send out confusing signals to potential consumers and you may have a marketing disaster on your hand sooner or later. Better to develop a single corporate identity and to promote that identity via an integrated approach that includes all the different marketing avenues including PR, social media marketing, offline marketing campaigns such as events and billboards and so on and combine that seamlessly with online marketing activities such as PPC campaigns, content marketing, social media marketing and SEO. If you are a small business, surely you don’t need to be wasting money in running multiple marketing campaigns and the need for an integrated marketing approach with SEO included becomes even more important. You need a vision for your corporate identity and then you can come up with a long-term strategy to be broken up into detailed tactics to accomplish that vision. The basic SEO elements of a website should be integrated into the website ideally during the development of the website and these include: on-page optimization, technical SEO, and site structure. You should complete a competitive keyword research to determine which keywords are worth focusing on. This also helps you with running a targeted PPC campaign to test the effectiveness of various keywords and keyword combinations. With further research and A/B testing of landing pages plus ads as well as writing good ad copy, you are ready to run a PPC campaign. This includes blogging, email marketing, newsletters and other efforts. Obviously, your blogging should keep in mind the keywords that you want to focus on as part of your SEO strategy. Content marketing can of course includes other formats including creating YouTube videos and infographics. While infographics help convey information in a user-friendly way, YouTube videos present the message in a format that consumers love to consume. The many recent instances of successful viral YouTube videos prove how useful viral videos can be. Your social media plans should be in line with your corporate vision and depends on whether you are a B2B company or a B2C company. Facebook company pages and Twitter handles are essential for B2C companies. You have to not only create those pages but also ensure that you are active and posting content via those channels in a regular manner. You have to make sure that you address any customer complaints that come to you via FB or Twitter. You have to respond to them swiftly and in a manner that will accrue goodwill to your company. Pinterest and Instagram are platforms with different demographics and your business niche will determine how important they should be to your overall strategic marketing plans. You can go for an ironic tone or a funny one in your social media accounts but you gotta be consistent in what you want to be. You can get an idea about what will be a successful persona based on the keyword research and A/B testing done as part of your SEO and PPC efforts. When you have an integrated approach to your marketing efforts, you get a positive feedback loop in some ways. For example, you can promote a Twitter hashtag specific to your company not only via your Twitter handle but also on your billboard ads and in your PR newsletters as well as email newsletters and blog posts. When you send out a single message via different channels, the message will likely stick with the customers or potential customers more effectively. Integration of marketing and the message has to happen at many levels. Your website should have your corporate logo and a color combination which should be replicated throughout all your different marketing formats: email newsletters, blog, Twitter background, Facebook page design and YouTube channel. Finally, you need to have a long-term plan and pursue it relentlessly. And you need to keep track of the success of your efforts and see the effects of your integrated campaign on your customer base and what success it is having in pulling fresh new customers into the marketing funnel. The term 'Digital Marketing' is more than just a career for Santosh. With seven plus years of experience in this space, its dynamism keeps him on toes with the latest development and way forward in the digital world. Additionally, he loves to travel and explore new places. How Smartphone Users Engage with Mobile Apps?